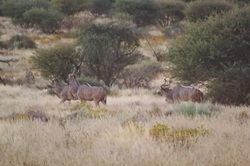 Namibia - Free Range Hunting at it's Finest! Here is still a place, as if frozen in time, where game roams the open plains and mountains. Here you will experience the feeling of having returned to your roots. It’s our privilege to share this magic with you. Born out of 14 years of hunting experience, this outfitter offers the best plains game, as well as leopard hunts, for both rifle and bow hunters, in Namibia. The 109 000 acres of free range, privately owned hunting ground presents a spectacular diversity of game, bird species as well as unique and incredible plants. 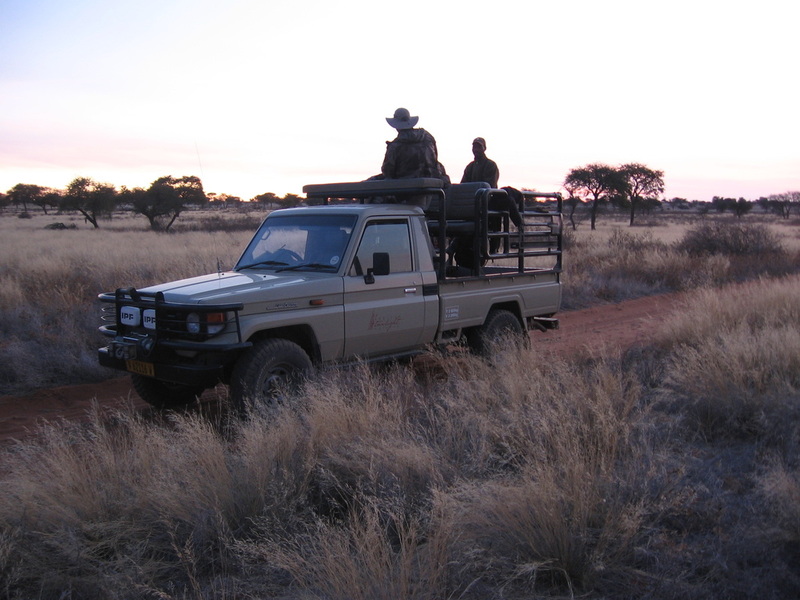 Here you will be able to hunt 16 different plains game species including Leopard and Spotted Hyena. Your booking will ensure you and your partner the exclusive use of the Safari hunting camp. Toyota Landcruiser vehicles are used for hunting, but all stalking is done on foot. The tranquility of the surroundings, mouth watering venison dishes, award winning wines and beer, and our friendly Namibian hospitality will leave you refreshed and vibrant after your stay with us. The hunting area is situated 170 km (100 miles) south west of Windhoek, in the central high grounds of Namibia, commonly known as Khomas Hochland. The area boast 109 000 acres of family owned ranched land. It offers a varied landscape of wide open plains to Rocky Mountains, transverse by dry river beds and mountain springs that surprise with cool water. This variety provides ideal living conditions for endemic game species. Not only the abundance of game, but also the breathtaking splendor of this wonderful peace of nature, charm visitors with peace and tranquility under the African sun during daylight, and its magnificent starlit sky at night. Please see the packages, price-lists and information below. Contact me for booking information and available dates. TOTAL Package Price = $7,590 or $3,795 per hunter! Note: Value Added Tax of 15% is included in daily rates. Any specie not in the price list can be added upon special request. Additional springbok baits will be sold for US$80 each. If the leopard is not shot or wounded, the hunter will be refunded with US$4000.